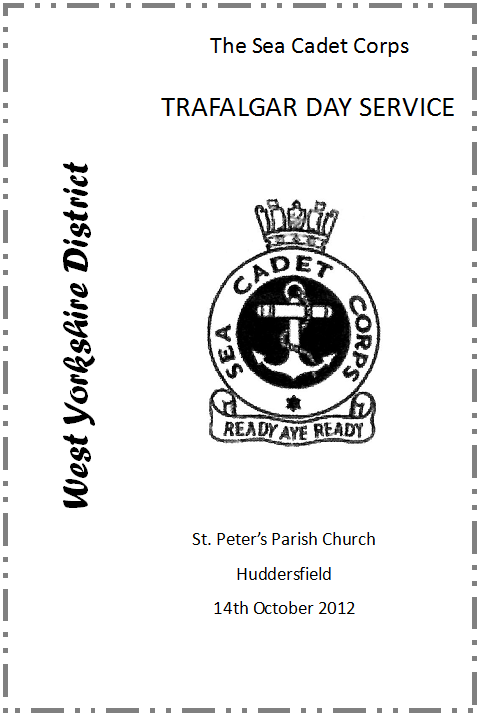 The Trafalgar Day Parade will include 150 Sea Cadets from units across West Yorkshire, led by the band of The Yorkshire Regiment – after the parade, at 2pm, there is a service in Huddersfield Parish Church. SEE ‘IMPRESSIONS FROM ST. PETES’ FOR A SHORT REPORT. Next Post Fellowship Through Art.